It’s no secret that to perform well in competition you have to train hard! However, hard training sessions break you down, fatigue you, and make you weaker. It’s in the rest periods that you become stronger. Positive physiological adaptations occur in rest periods, not work periods. The hard training is the stimulus for adaptation. This adaptation occurs in response to taxing the cardiovascular and muscular systems and is accomplished by improving the efficiency of the heart, increasing the capillaries in the muscles, increasing the amount of glycogen stores and mitochondrial enzyme systems in the muscle cells. During recovery periods, these positive adaptations take place in response to stress applied to the cells. If adequate rest periods are absent in a training program, these positive adaptations cannot occur and performance can plateau. If this imbalance between work and rest persists, performance can decline. This is overtraining. The "overtraining syndrome" is the name given to the collection of emotional, behavioural, and physical symptoms due to overtraining that has persisted for weeks to months. Athletes and coaches also know it as "burnout" or "staleness." Obviously, day-to-day fluctuations in performance and post-exercise tiredness are completely normal in the trained athlete. Overtraining is when fatigue and performance decrements persist even after recovery periods. Haddad and Adams (2002) looked at different resistance training frequencies and the impact on muscle growth. They stimulated rat calf muscles (one side only) to perform 2 ‘resistance training’ (RT) sessions (they used high frequency stimulation to simulate RT) with 8, 24 and 48hr intervals. They then sampled muscles after 1 session and at 16, 24 and 40hrs after the 2nd session. Is overtraining associated with similar refractory cell signalling? Which parameters of performance decline earliest? "Resting from overtraining on the bicycle by swimming more will help a pair of fatigued quadriceps, but to the heart, pituitary glands and adrenals, stress is stress." I don’t know how evidence-based the above division of sympathetic and parasympathetic overtraining symptoms is. Do endurance and power athletes experience different signs and symptoms of overtraining? Probably. Do we know exactly what they are? Probably not. Is a decline in strength a good indicator of overtraining? Fry et al., (2006) had a group of young adult men (averages ~20.2 years and 77.7 kg) with a strength training background participate in an overtraining study. All were capable of barbell squatting 1.5x body mass. The authors had subjects squat 10x1 @ 1RM... daily… for 2 weeks! These poor fools reported not resuming their normal training intensities for 2-8 weeks after the study finished! Their squat 1RM declined by 7.9kg (or 5%) on average. 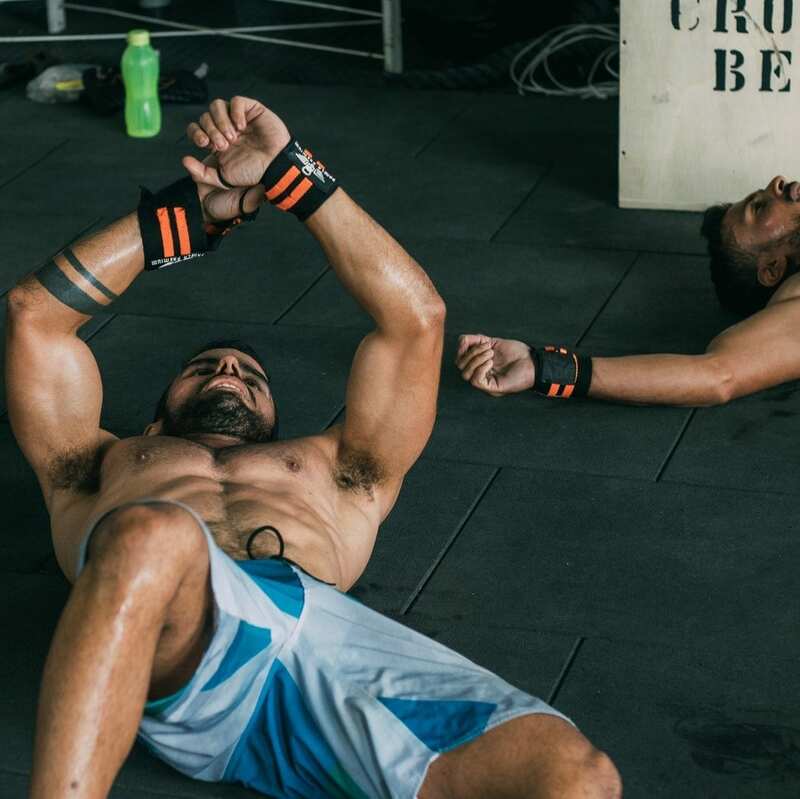 This is a relatively small decrease considering the ridiculously high intensity and frequency of resistance training that these guys have been through. If less vigorous training caused a smaller decline in 1RM you may not detect it from 1RM testing! The authors found no statistically significant effects of overtraining on jump performance! However, the squat jump was down almost 2 cm and the squat jump power was also down to some degree. Perhaps the use of extra subjects would have provided a statistically significant effect? Nevertheless, the other jumps do not seem at all sensitive to overtraining induced by resistance training. Perhaps the gentleman above has overtraining syndrome affecting his jump performance? Is squat power a good measure of overtraining? Power output during the 1RM appears to be very sensitive to overtraining. It declined by an average of 36% in the over-trained subjects. This is a much larger decrement than the 5% (7.9kg) decline in 1RM. Overtraining may be detected earlier with a power test (using a ballistic measurement system) than with a 1RM test. Common sense would say that it's better to be undertrained than overtrained. Adequate rest periods are vital for optimal performance. There's strong evidence that reduced training (same intensity, lowered volume) for up to 3 weeks will not reduce your performance. A well-planned training program that utilises sensible periodisation is a vital part to any athletes training program. It should be noted quality training programs involve art and science, as well as some flexibility. Effort should be made to monitor for signs of overtraining and early detection should be heeded. We're serious about helping you live your best life, now! Right now, you can book in for a FREE initial assessment. No hidden funnies, weird pyramid schemes, or quackery. Just a great chance for you to see how physiotherapy can help you. In fact, we're so serious, we even offer half-price treatment should you chose to pursue your tailored therapy, right in the very same session. Press the button below to quickly make an online booking. It's no fuss and super-simple, we promise.